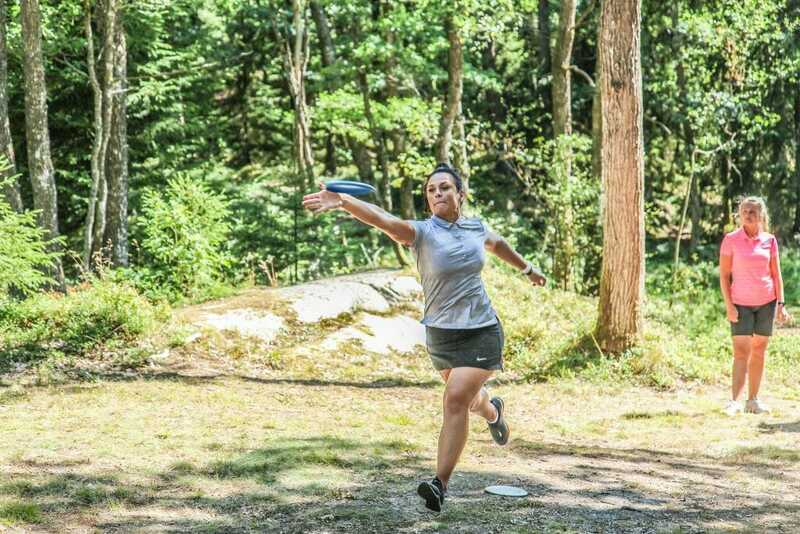 Three Open Women players at The Open in Ale, Sweden—the season’s last PDGA EuroProTour event—helped a country reach a milestone last weekend. 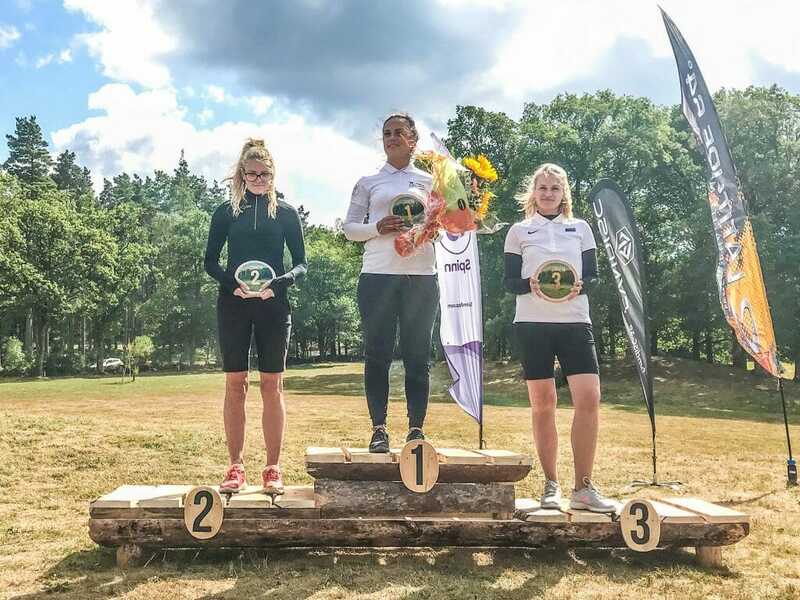 This feat is even more interesting when you know that the three top finishers—Paid, Perendi, and Open Women champion of the event, Kristin Tattar—were the only three Estonian women competing in a field of 16. Tattar won convincingly, her 9-over par 312 over five rounds coming in 16 strokes ahead of Paid and Perendi’s twin 25-over par 328s. They finished three ahead of Swede Sofie Björlycke’s 28-over par 331, which earned her fourth. 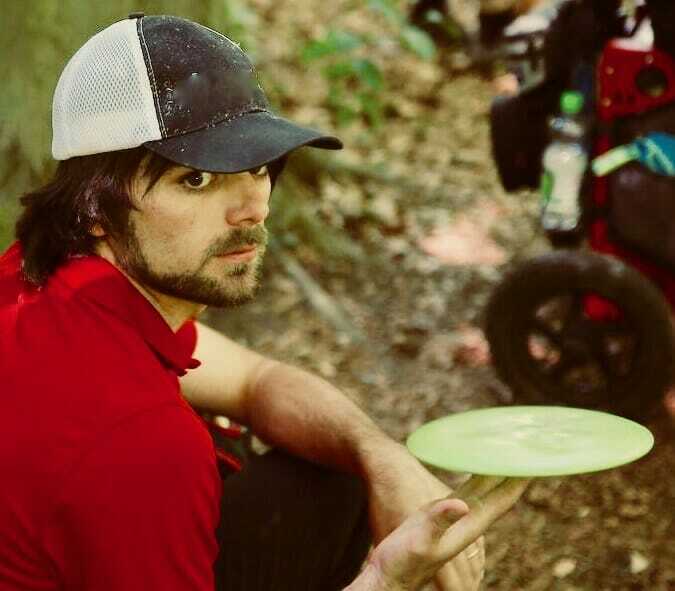 For those who made the cut, The Open was played over five rounds at the Ale Disc Golf Center, a pay-to-play disc golf facility thirty minutes outside of Gothenburg, Sweden. The tournament was played on the center’s two 18-hole courses, known simply as the White course and the Yellow course. The White is a championship-level, par 63 course with an average hole length of 163 meters (540 feet). To score well, you need to navigate long, technical wooded fairways but also have open-field distance and an ability to know your discs’ reactions to drastic elevation changes. The par 57 Yellow course is played mostly in the woods and can offer challenges for those who find themselves off the fairway, but its average hole length of 99 meters (325 feet) means it is also easier to post a low score on than the White. The 909-rated Tattar averaged 955-rated golf over the weekend and had amassed a significant lead going into the final round played on the White course. With 11 strokes separating her from her nearest competitor as the fifth round began, it would have taken utter disaster for her to lose her position. Far from disaster, Tattar instead posted the hot final round and her second-highest rated round of the weekend, a 965-rated 4-over par 67. Along with picking up an A-Tier win, Tattar solidified a second-place finish in the EuroProTour; Europe’s top professional tour series. She ended 19 points behind the tour’s champion—and winner of last week’s PDGA Major, the Konopiště Open—Eveliina Salonen. While Tattar made her victory relatively stress-free, Paid and Perendi kept things interesting. They entered the final with Paid ahead by one stroke, and though Perendi never did manage to take a lead, the two players were never apart by more than one stroke the entire final round. Perendi provided Ultiworld Disc Golf with some play-by-play of their battle on the final holes. On 16, both players parred. Perendi and Paid played an unofficial playoff for the second and third-place trophies, which Paid won on the first hole. Perendi, however, was surprised to be on the podium at all at the A-Tier event. “I did not even expect to be in the top three before the event. However, before the final round, I secretly wished for it,” Perendi confided. Having only been playing tournaments since 2016, Paid was also not expecting to find herself in the top three. “To be honest, I didn’t come to The Open with a podium-finish thought in my head…to finish second was a huge surprise for me,” Paid said. It was even more surprising to her because, though she felt ‘really good’ about her drives, she realizes that putting—as Perendi’s narrative shows—was a weakness for her this weekend. “It’s really hard to grip discs when you don’t have grip,” she quipped. Overall, it was a great weekend for Estonian disc golf and the growth of the women’s game there. Tattar’s win caps off a string of strong finishes this year for her, including recently tying Paige Pierce and Catrina Allen for second place at the Skellefteå Open. Perendi has had success this year as well, including winning two titles at events that were part of the EuroProTour’s age-protected and amateur division focused sibling, the EuroTour. For Paid, this is her highest finish of the year, but it’s quite a big stage to find success on. Should such results from these and other Estonian players continue to be the norm, widely-recognized disc golf powerhouse Finland may soon find itself challenged for its reputation as the place in Europe to look for emerging talent. Comments on "Tattar Tops Podium At The Open"